Apto and Buildout’s new partnership abridges the marketing process for real estate professionals. The new integration of services is available for commercial real estate broker clients. 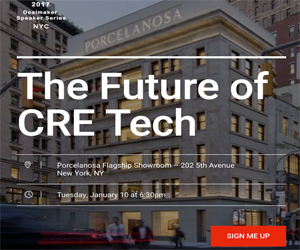 The service integration from two of the CRE industry’s top software platforms will fast track the production of professional-quality marketing materials ready for publication while boosting listing exposure. In one click, Apto users will be able to produce marketing documents and generate property websites. Property information stored on Buildout will update automatically in Apto, as well as to third-party listing websites, for the most accurate data. These new features reduce the number of steps real estate professionals spend on marketing and property listings. "The partnership was a natural step for us," said Buildout CEO Vishu Ramanathan. "We are aligned with Apto in our goal of streamlining the brokerage management and marketing process. The partnership will benefit our clients by offering seamless integration with the proven leader in CRM and it will benefit Apto's clients by eliminating redundant work, saving time and freeing them to focus on their business." Buildout is a software company tailored to CRE and providing user friendly tools for streamlining the property listing and marketing process. Now its partnership with Apto, the top web-based software Customer Relationship Management (CRM) platform optimized for CRE, will allow brokers to track a deal’s marketing plan and target potential buyers. Both companies believe in eliminating extra work, saving clients time and money better spent on their business. The Buildout and Apto integration means brokers can manage and market the full lifecycle of a property deal on any device. Visit Buildout and Apto to learn more about their CRE services and integration.